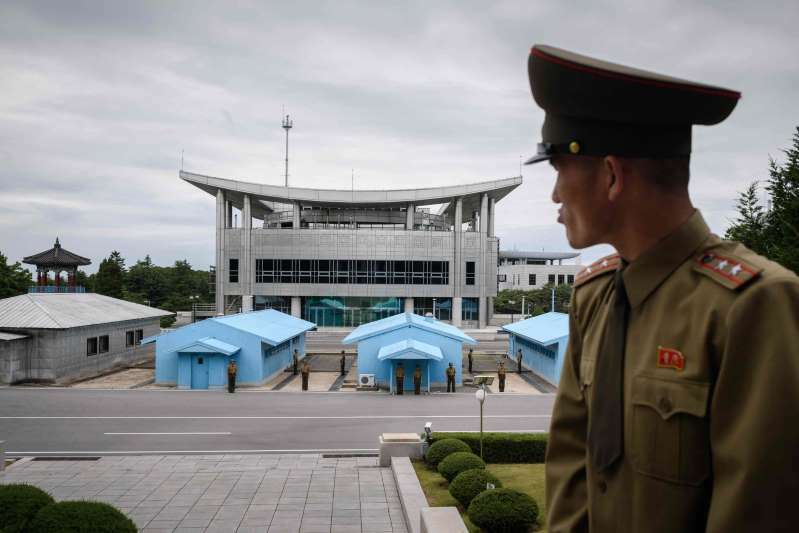 Panmunjom, the truce village in the Demilitarized Zone, where a South Korean citizen was repatriated after crossing into the North illegally. North Korea released a South Korean citizen on Tuesday who was detained in the North last month, a rare humanitarian gesture welcomed by the South Korean government. The returnee was handed over to the South Korean authorities through Panmunjom, a contact point on the border between the two countries, the South’s Unification Ministry said in a statement. The 34-year-old man, who was identified only by his last name, Seo, was arrested in North Korea for illegal entry on July 22. [post_ads]The ministry released no further details, citing a pending investigation. The man will probably face criminal charges in South Korea because of a national law that bars citizens from visiting the North without government permission. Although more than 30,000 North Koreans have fled to South Korea in the past three decades, it is rare for South Koreans to enter North Korea illegally. And it is highly unusual, though not unprecedented, for the North to return them. In 2015, North Korea returned a South Korean student, then attending New York University, who had been held for months on charges of illegally entering the North from China. In 2014, it returned a South Korean man who fled to the North to escape personal economic difficulties. In 2013, North Korean officials said they had “leniently pardoned” six South Korean men detained on charges of illegal entry. The men were repatriated, as were the remains of a South Korean woman, killed by her husband, one of the six men, during a quarrel. Tuesday’s repatriation came as the North is mounting pressure on South Korea to return those citizens it says are being held in the South against their will. Two North Koreans, Kim Ryen-hi and Kwon Chol-nam, are campaigning for their repatriation to the North, saying that their decisions to defect were mistakes. North Korea is also demanding the return of 12 waitresses who arrived in South Korea in 2016 in a group defection. While the South maintains that they defected of their own free will, their manager, who led the women to the South, later claimed he was blackmailed into taking them against their will. Prosecutors and South Korea’s National Human Rights Commission are investigating the scandal. At least six South Koreans who have been detained in the North in recent years remain there, including three missionaries who were sentenced to hard labor for life on spying and other charges. North Korea released three Korean-Americans, including one sentenced to 10 years of hard labor for an espionage conviction, when Secretary of State Mike Pompeo visited Pyongyang, the North Korean capital, in May.